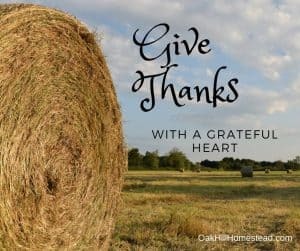 Simple Homestead Blog Hop #183 | Happy Thanksgiving! Alright friends, Thanksgiving is TOMORROW! This week has been really crazy for me. I had all of these goals and tasks I wanted to achieve and then my husband ended up in the hospital with acute appendicitis and, needless to say, about 15% of the these that needed to be done got done. 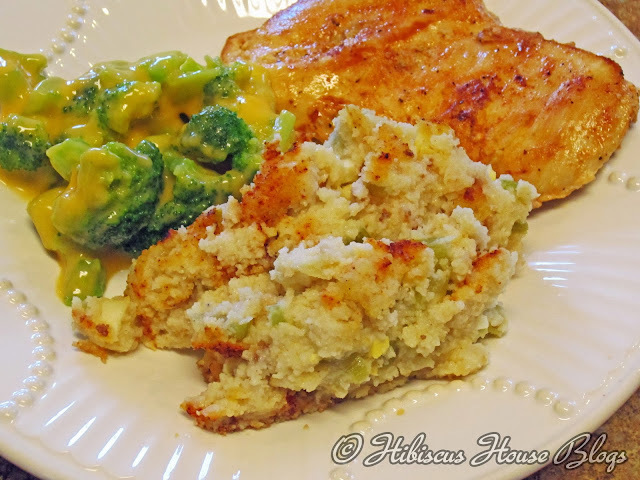 There are ALWAYS setbacks when it comes to homesteading and that’s okay. I’m fortunate enough to have my mother-in-law living close enough to help me out. Last night I stayed home so I could clean and the house ready for the rest of the family coming into town. This morning I came back down to the hospital, where I’m writing this from now. Thankfully, the surgery went great and my sweety is on his way to full recovery! So I am SO thankful for family and modern medicine today! Also, I’m going to have to remember that Self Love is important while playing catch-up next week! What are you thankful for? Let me know in the comments below! If you didn’t know, one of our cohosts, Nancy on the Homefront, is also co-hosting a great Holiday Giveaway as part of the Season of Giveaways from Katherine’s Corner. Through November 16 you can enter to win a $150 Target gift card to help with your Thanksgiving/Christmas/Hanukkah/Etc. holiday preparations. Nancy will be participating in several other giveaways during the holiday season, so be sure to follow her so you won’t miss out on any opportunities! 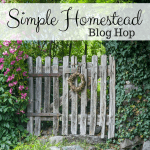 Previous Post: « Simple Homestead Blog Hop #182 | Plus a holiday giveaway! I’d like to thank you for the feature! It is heartwarming. No problem, Dolly! Thank YOU for participating in the hop and providing us all with great material. I look forward to seeing more and thanks for stopping by!